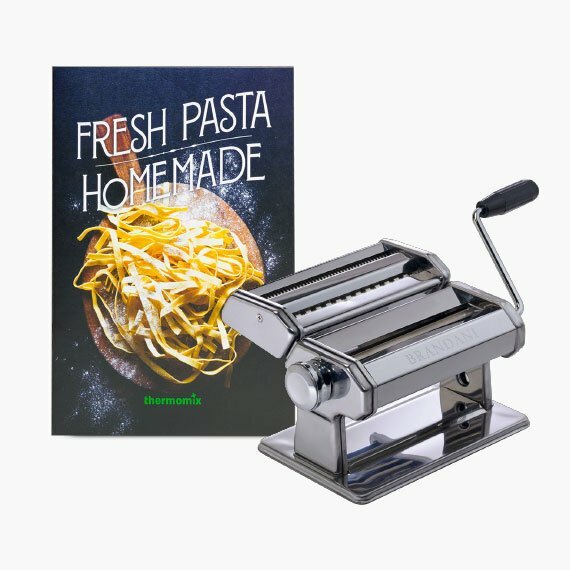 Once you've made a batch of perfect pasta dough in your Thermomix®, you'll need to roll it out to cut noodles, ravioli and more. 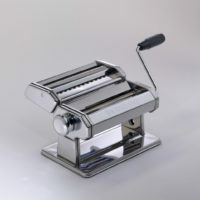 This sturdy, stainless-steel pasta roller affixes to a countertop with a clamp and has a hand crank to roll out sheets of pasta to your desired thickness and cuts them into long noodles like fettuccine. 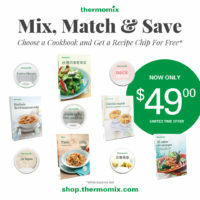 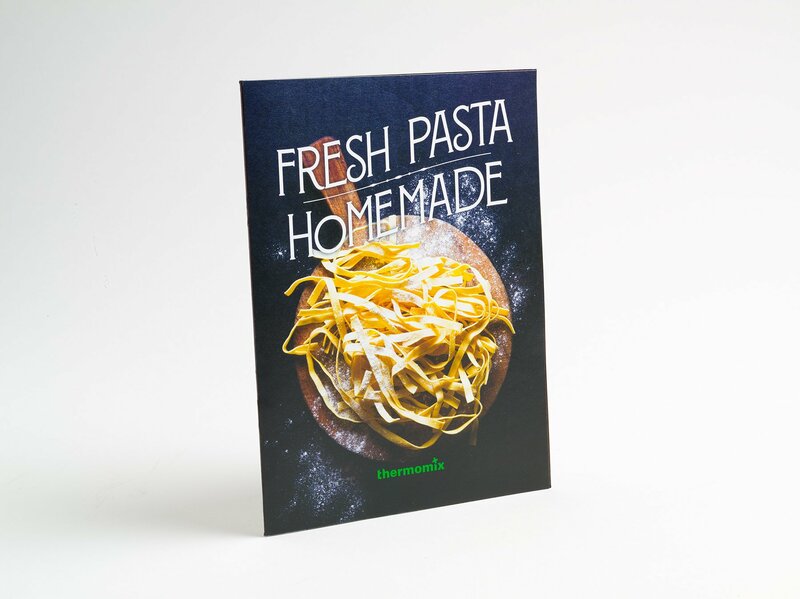 Our new Fresh Pasta, Homemade recipe booklet helps you learn how to make pasta like a pro with your Thermomix®. 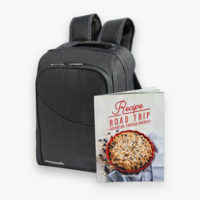 Features 10 mouthwatering made from scratch recipes for traditional, gluten-free, eggless and vegan pasta doughs, plus creative ways to use them, including Fettuccine with Arugula and Ricotta, Ravioli Stuffed with Artichokes and Pancetta, Vegan Pesto, Gluten-Free Mushroom Lasagna, and Classic Bolognese. 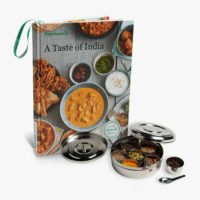 Brandani® Pasta Machine Maxi Roller 7″: Once you’ve made a batch of perfect pasta dough in your Thermomix®, you’ll need to roll it out to cut noodles, ravioli and more. This sturdy, stainless-steel pasta roller affixes to a countertop with a clamp and has a hand crank to roll out sheets of pasta to your desired thickness and cuts them into long noodles like fettuccine. Fresh Pasta, Homemade: Our new recipe booklet helps you learn how to make pasta like a pro with your Thermomix®. 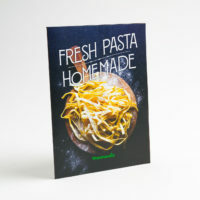 Features 10 mouthwatering made from scratch recipes for traditional, gluten-free, eggless and vegan pasta doughs, plus creative ways to use them, including Fettuccine with Arugula and Ricotta, Ravioli Stuffed with Artichokes and Pancetta, Vegan Pesto, Gluten-Free Mushroom Lasagna, and Classic Bolognese.